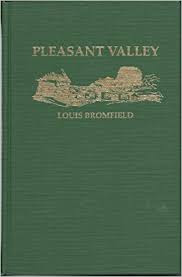 "Pleasant Valley" is a personal testament written out of a lifetime by a man who believed that agriculture is the keystone of our economic structure and that the wealth, welfare and prosperity of the nation are based upon the soil. It is frankly, a romantic book, written in the profound belief that farming is the most honourable of professions and unquestionably a romantic and inspiring one. It is said that Johnny's real name was John Chapman and that he was born in New England. It is pretty well accepted that he was a Swedenborgian by faith. The truth is of course that Johnny Appleseed had attained that legendary status where facts are no more of importance. He had become a kind of frontier saint about whom had collected volumes of folklore and legend. 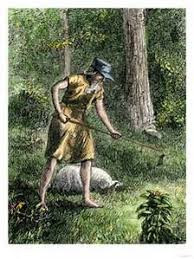 Like St. Francis, he had a habit of talking aloud to birds and animals as he tramped bare-footed through the woods. He never accepted the hospitality of a bed but chose instead to sleep in the great haymows above the fat cattle and horses. The Indians regarded him with awe and veneration. He lived at peace among them, preaching brotherhood and goodwill. 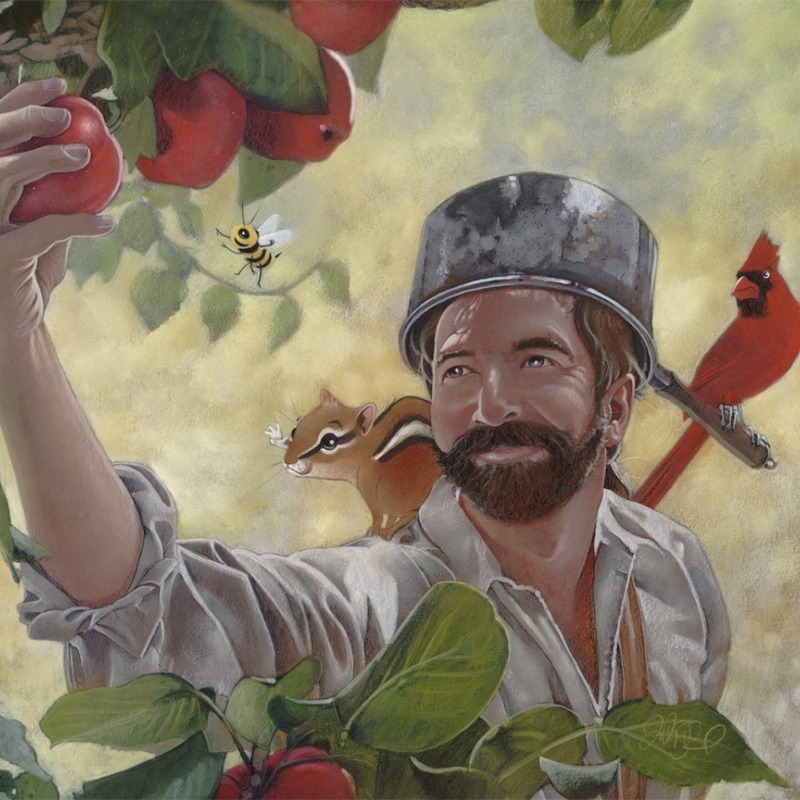 Johnny went about planting apple trees in the wild frontier country. Some say that he scattered the seeds as he went along the edges of marshes or natural clearings in the thick, almost tropical forests. 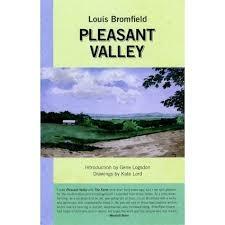 Others say that he distributed the seeds among settlers themselves to plant. When in early spring, there drifts towards you the perfume of a wild apple tree, the spirit of Johnny rides the breeze. When in winter, the snow beneath a wild apple tree is crisscrossed with the delicate prints of raccoon or muskrat or rabbit, you know that they have been there gathering apples from the trees that would never have existed but for crazy Johnny and his saucepan and poke of seeds. Johnny is alive wherever the feathery fennel or the flowering day lilies cover a bank. He is there in the trees and the caves, the springs and the streams of our Ohio country, alive and still in a legend, which grows and grows!